The bass section from Saturday's Beenham Wind Orchestra concert. Thanks to Jonathan Hodgetts for playing, bringing along his colleague Will Druiett and a 'Wessex Tubas' Euphonium for Jess to play. 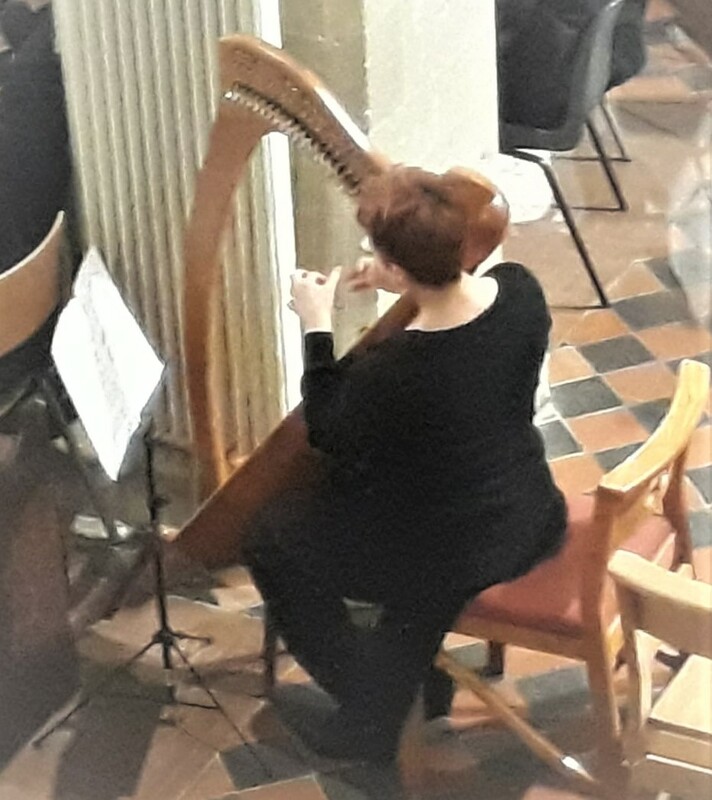 Anne Laney, usually principal Clarinet, playing her beautiful Harp in 'Venus' - a first for her.